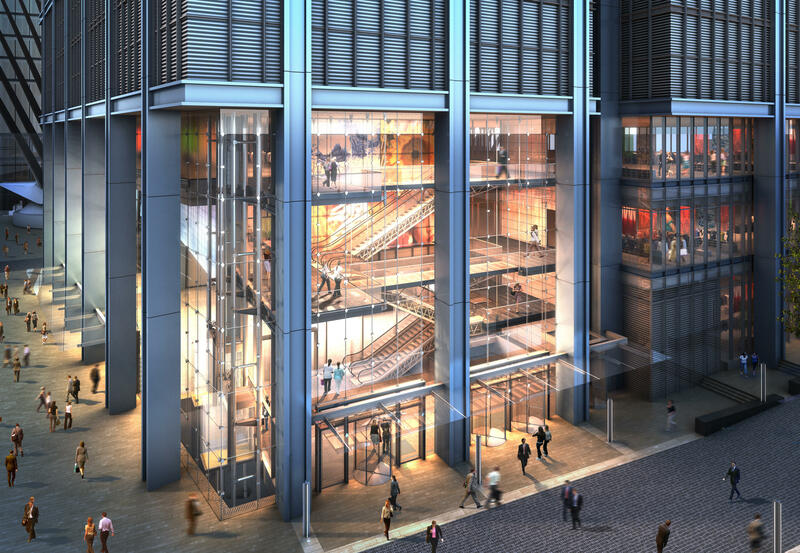 Roughly 10 years after ground broke on 3 World Trade Center, the tower is finally slated to open this month. 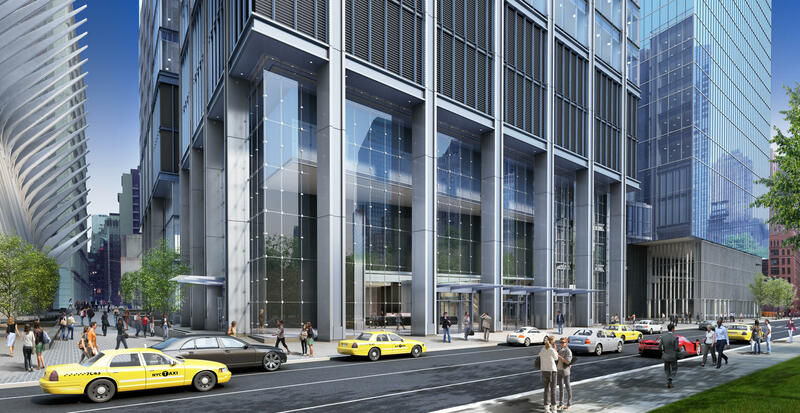 And now that it’s near completion — rising to 1,079 feet and fully clad in glass — I can say with reasonable confidence that it will prove to be the least architecturally interesting of the four main buildings on the hallowed site. Two World Trade Center was in the running for that dreary distinction, with its original design by Sir Norman Foster. But when Danish architect Bjarke Ingels stepped in to replace Foster back in 2015, he brought with him a more dynamic design for the tower, which consists of a series of staggered stacked boxes. 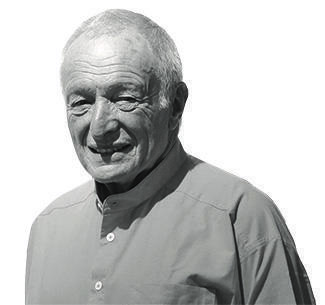 The same energy will not be found in what Sir Richard Rogers — and his team at Rogers, Stirk Harbour + Partners — dreamed up for 3WTC. That’s especially true when the skyscraper is measured against Japanese architect Fumihiko Maki’s elegantly minimalist 4 World Trade Center and Skidmore, Owings & Merrill’s stately 1 World Trade Center. 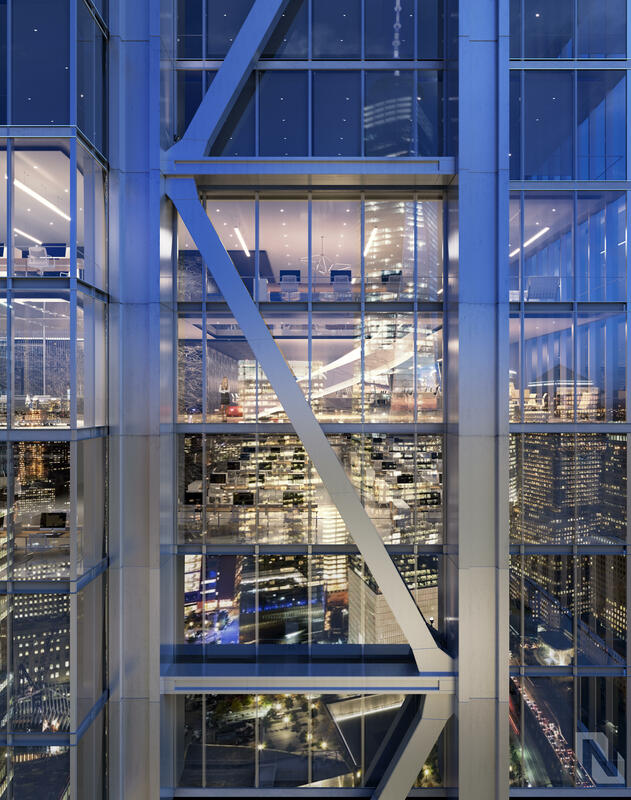 In Rogers’ design for 3WTC, one seeks in vain for anything remotely interesting. Instead, we find some of the same formal tropes that made Rogers, a Pritzker Prize winner, famous. Now, however, these tricks feel lazily invoked: the arbitrary asymmetries, the industrial aesthetic in one part but not another, the shift in cladding patterns. Still, the fact that this 2.5 million-square-foot, 80-story tower — a cross between deconstructionism with a willful asymmetry and neo-modernism with a mid-century corporate flare — has come this far is an achievement given the economic roller-coaster ride of the past decade. 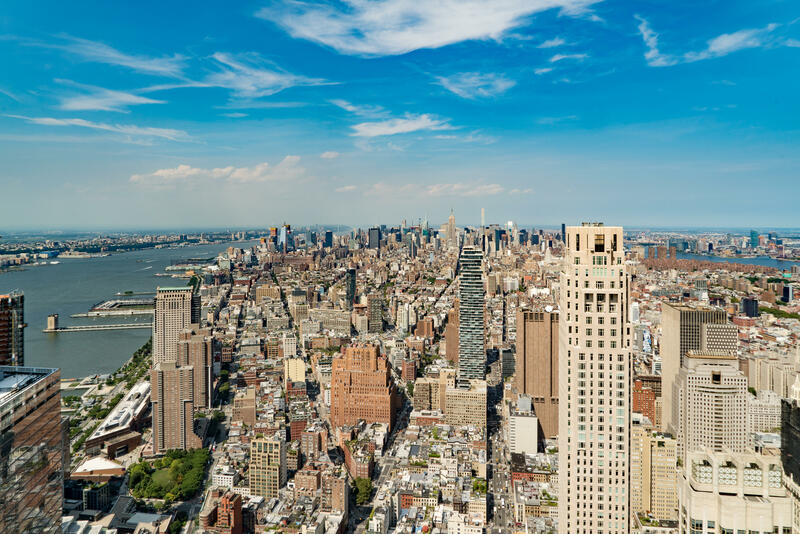 Back in 2009, during the depths of the recession, the Port Authority of New York and New Jersey, which owns the World Trade Center site and leased it to Silverstein Properties, announced that it would scale the building back to just four stories. But the economic tide turned. 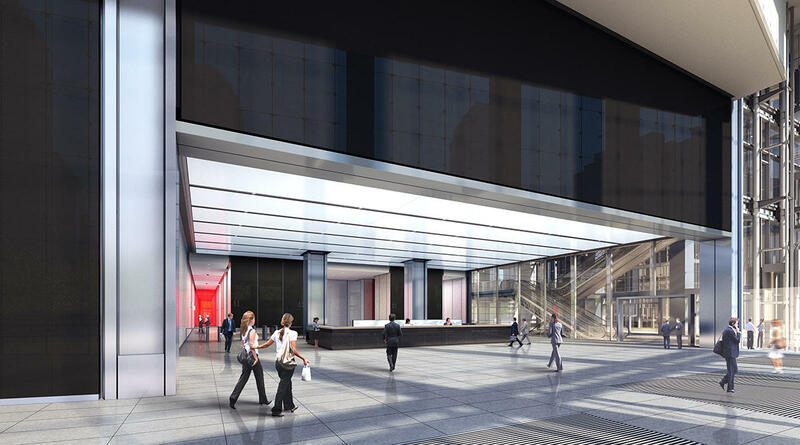 And Silverstein locked in advertising and media giant GroupM as an anchor tenant with a 700,000-square-foot, 20-year lease. Then, in late 2014, Silverstein sold $1.6 billion in tax-exempt Liberty Bonds, allowing the company to erect the skyscraper, which is now the city’s fifth tallest tower. At first glance, the base looks adequate if undistinguished, as though Rogers and his team simply couldn’t be bothered to come up with something more coherent. While this inconsistency may have been designed as an intentional disruption, the results are pallid. It should be noted that the street-level portion achieves a sturdy presence that holds out some promise. 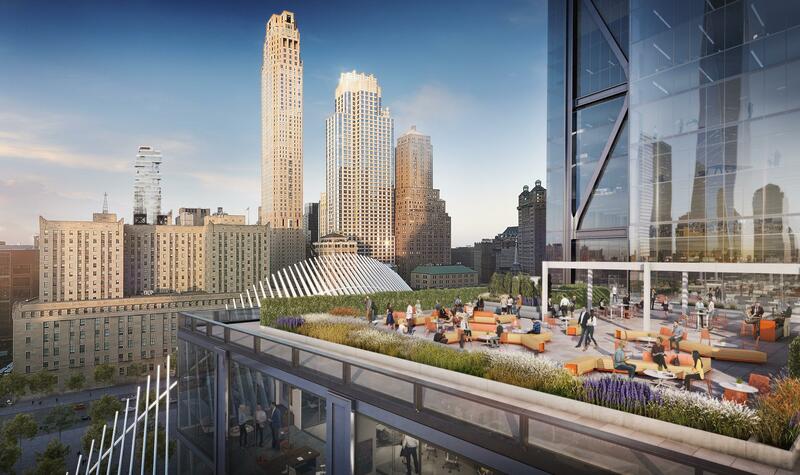 And the design is being touted for the ground-floor accessibly it offers to the adjacent and striking Santiago Calatrava-designed transportation hub. Meanwhile, the tower — which has a concrete core and reinforced steel frame for maximum safety — features a complex assemblage of curtain walls, and each side’s pattern is slightly different. What looks like half of a diagrid runs up the sides. 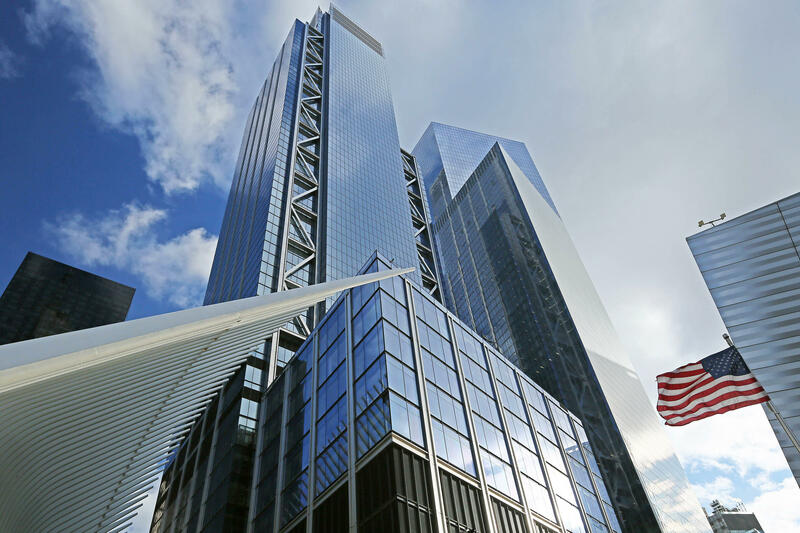 Each of the other World Trade Center buildings has a distinct personality, but 3WTC has no personality — other than to do exactly as expected. There is no spark, nothing memorable. With that said, the building will serve its purpose well enough. 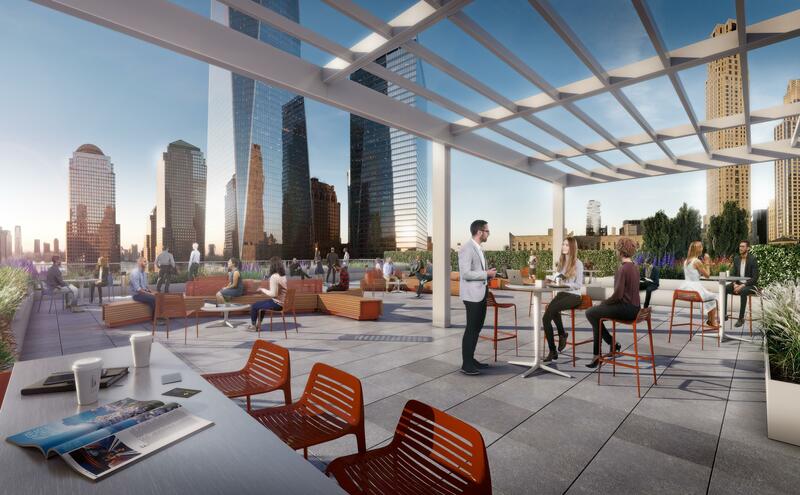 And it does have redeeming qualities for the office tenants, including giant column-free floor plans and several outdoor terraces, including a 10,000-square-foot space on the 17th floor that all tenants can access. 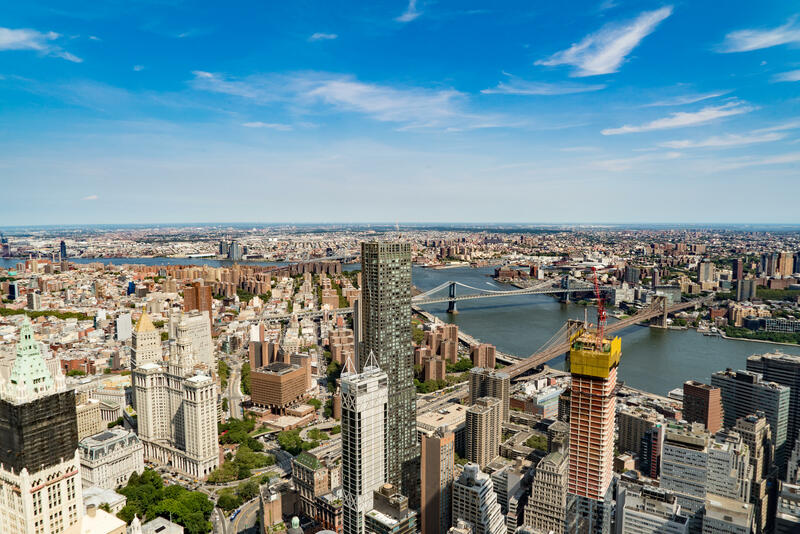 Last month, at The Real Deal’s annual Showcase and Forum, Silverstein CEO Marty Burger said that the building is already 33 percent leased up. That was just a few days before consulting firm McKinsey & Co. sealed a deal for 186,000 square feet. For his part, Rogers has long favored a clamorously constructed use of space that can sometimes achieve the sort of beguiling lyricism that was most recently in evidence in his Madrid–Barajas Airport, and that’s also intimated in his iconic Lloyd’s Building in London, from 1986. But none of that poetry is evident in 3WTC, which hearkens back to the sort of slapdash work of Rogers’ earliest years. From the images released by Silverstein, the interiors seem better than the exterior. The 64-foot-high, three-story lobby includes one section with a sleek black-and-white dropped ceiling that looks as though it came straight out of the Mad Men era. At least that should be a jolt of energy that’s otherwise lacking at Tower 3.